Danes speak wonderful English yet they make a few common mistakes over and over. 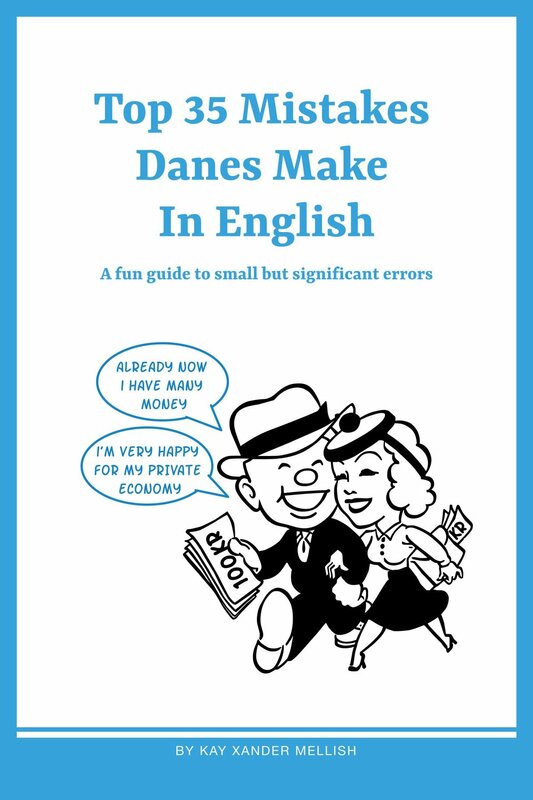 Whether its not knowing that 'obviously' is obnoxious, directly translating stuffy words like 'fervor' and 'harmed' or using 'already' to describe a future event, this short book offers up a list of easy-to-fix mistakes to help Danes make their spoken and written English even more smooth and impressive. Living in Denmark as a foreigner can be tough. It's hard to make friends, find a job, find a place to live, and figure out the Danish language. Kay Xander Mellish, an American who has lived in Denmark for more than a decade, shares her tips and experiences in this book, based on the popular podcast. An entertaining look at life as a foreigner in "the happiest countries in the world."